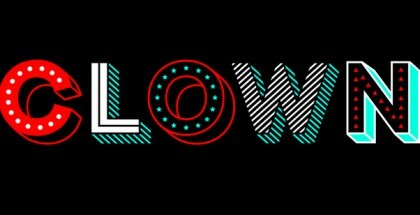 micRobrew unicase typeface is the further enlargement of the very interesting and already well known Microbrew family. It is designed in order to additionally develop the original and to provide even wider options to the users. As with the original, micRobrew unicase font family is a display font with pronounced rough vintage appearance, a nice combination of vintage letterpress and wood type styles. It is too an all caps font where the lowercase are meant to be alternates. The font’s rugged look and great legibility make it a prime choice for display purposes. 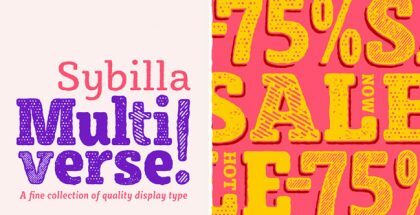 However, the greatest advantage of this typeface is its versatility which makes it perfect for a vast number of applications like greeting cards, wedding stationery, restaurants, bars, coffee shops, posters, signage, labels, branding and many more. micRobrew unicase typeface provides 14 individual styles (One, One Inline, One 3D, One Combined, One Shadow, Two, Two 3D, Three, Three Inline, Three 3D, Three Combined, Four, Four 3D, Four Shadow) with the cleaner styles designed to perform better at the smaller sizes while more detailed ones are more suitable for the larger sizes. That is not all though, as 4 different flavors of catchwords as well as very juicy set of special ornaments are added. The font family is designed in such a manner as to provide a lot of fun to the users especially when mixing uppercase and lowercase letters. Also, various OpenType features are included such as subscript numbers, superscript numbers, double-letter ligatures and automatic fractions. 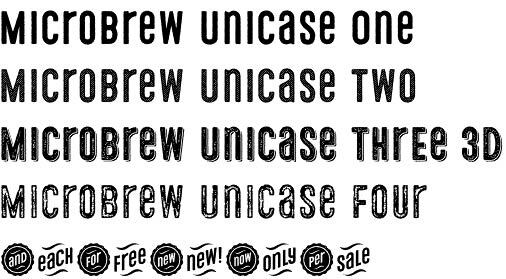 Get micRobrew unicase and enjoy a retro beauty!